Ybor City, Florida, was once a thriving factory town populated by cigar-makers, mostly emigrants from Cuba and Spain. 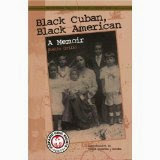 Growing up in Ybor City (now Tampa) in the early twentieth century, the young Evelio Grillo experienced the complexities of life in a horse-and-buggy society demarcated by both racial and linguistic lines: Life was different depending on whether one was Spanish- or English-speaking, a white or black Cuban, a Cuban American or a native-born U.S. citizen, well-off or poor. (Even American-born blacks did not always get along with their Hispanic counterparts.) Grillo recaptures in prose this unique world that slowly faded away as he grew to adulthood during the Depression. He relates his increasing assimilation into black American society, and then tells of his adventures as a soldier in an all-black unit during World War II. Booklovers may have read of Ybor City in the novels of Jose Yglesias, but never before has it been portrayed from this unique and vital perspective.